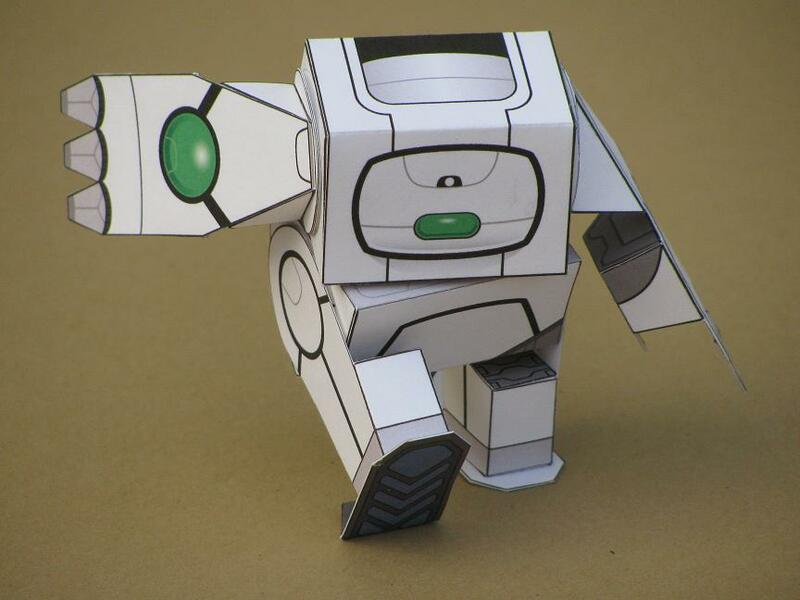 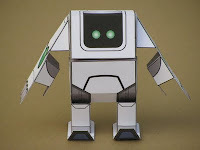 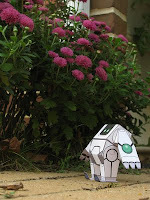 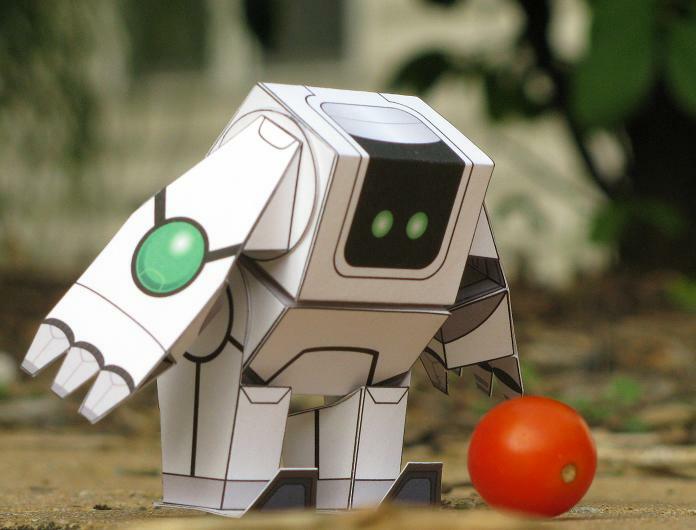 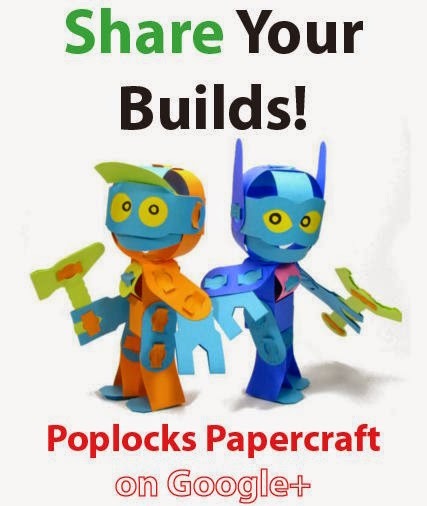 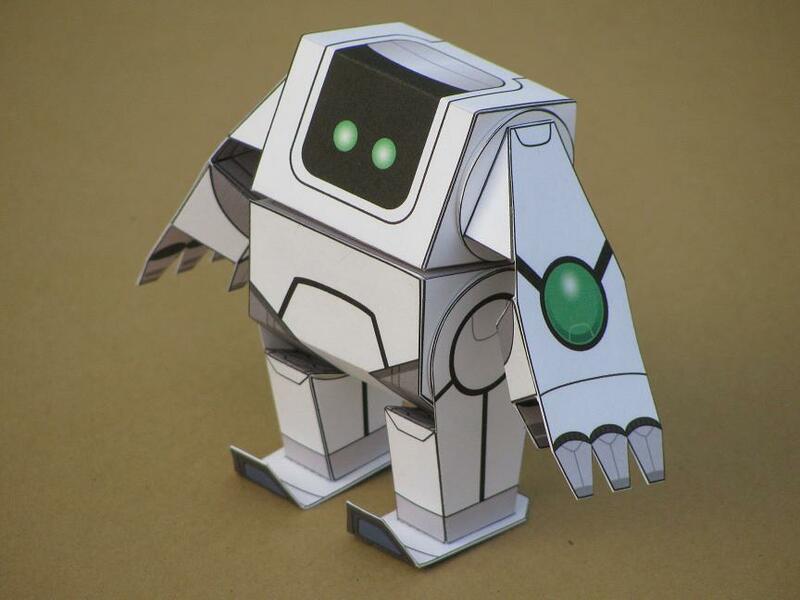 Here's another cute little robot toy for you to build! 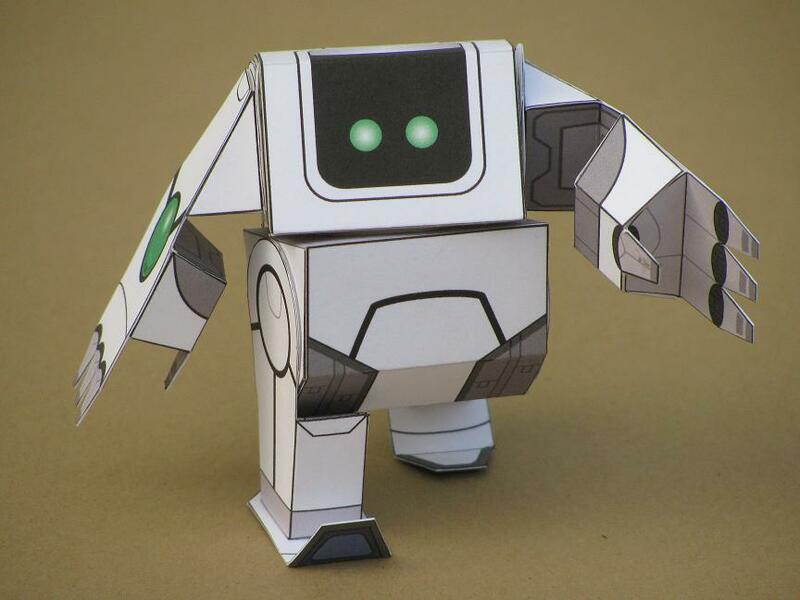 Sweet Robo is just one piece of paper, and uses new "single piece" flat axle construction! 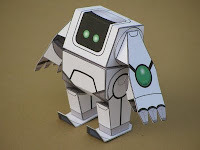 Fold and glue the flat axle piece into a circle. 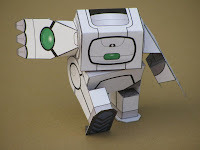 Bend the edges on one side, then screw it into it's socket on the body pieces. This one-piece flat axle design is easier to assemble and allows for a really tight, smooth fit. 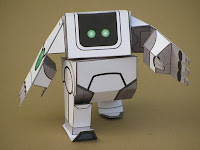 Sweet Robo will hold his pose with incredible tenacity! 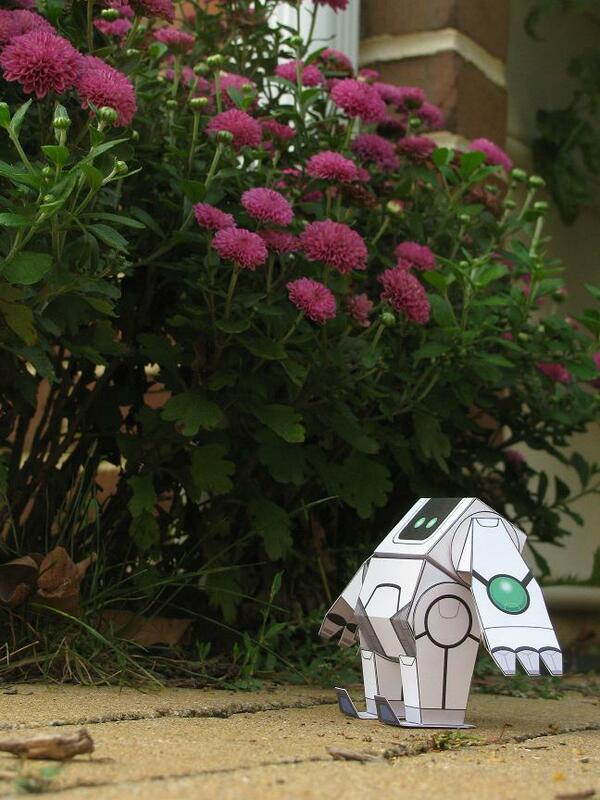 Many Thanks for this fabulous & friendly toy ! Its nice to contact you!